Rob Van Varick, Principal of Design, Insights & Strategy and Jessica Hurwit, Senior Product Designer will be participating in the Teen Design Fair at the Cooper Hewitt next month. The aim of the Teen Design Fair is to make design and design industries understandable and accessible to high school students. By interacting with professional designers, students learn about different design disciplines and receive guidance on how to pursue futures in design. The event allows our designers to share their knowledge and experience acquired during their careers. Groups of students with varying levels of exposure to design will gain a better understanding through exposure and self-explored questions. Mentoring is one of the core missions at Michael Graves that was instilled by our founder. Our continued realtionship with the Cooper Hewitt allows us to spread our mission to students about to embark on their journey of building a career. The awareness of opportunities for careers in design is limited by exposure and core curriculum. Michael Graves Architecture & Design believes that the education of design and design thinking is one the strongest assets you can give our youth. For more information about this event visit the Cooper Hewit website here. As designers, we are empowered by knowledge of the world around us and the people that inhabit it. At MGA&D we believe that persistent learning is one of the many practices that help us create enduring, humanistic design solutions. That is why we are thrilled to have been asked to contribute content to the Smithsonian Learning Lab, a new digital platform that is allowing educators to utilize online resources for instruction and professional development in a whole new way. Launched in 2016, the Smithsonian Learning Lab is a collection of more than two million digital resources including images, recordings, videos, and texts from across the Smithsonian’s 19 museums, 9 major research centers, the National Zoo, and more. The Learning Lab offers free access to all these diverse resources combined with tools that allow users to organize, supplement, and personalize the assets to facilitate learning in a non-traditional approach. MGA&D has contributed two collections to the platform to provide its users some insights into how we approach design from start to finish. The first collection focuses on the history and foundation of our company, and our unique perspective as a truly multidisciplinary practice. The second collection is a case study on the Prime TC, which takes a full dive into the project from conception through production, and shows some of the tools we use to transform research findings into thoughtful, fully developed designs. Here you can find our collections and explore the rest of the Smithsonian Learning Lab. For further information, call (212) 849-8400, visit Cooper Hewitt’s website here. From a collection of sleep hygiene products for the consumer market to a number of distinctive Michael Graves Architecture & Design projects are on the boards, in design, and under construction for 2017. MGA&D is busier than ever, working on creative, design solutions in the consumer products, federal, workplace, hospitality, education and master planning sectors. The following is an overview of projects, highlights and features that reinforce MGA&D’s commitment to human-centric elements that focus on design excellence and innovation. We’re always working on new projects and equally excited to share our progress. We will periodically be updating individual project pages as each project comes closer to completion. The six-star St. Regis Hotel, a 2.1 million-square-foot mixed-use development currently under construction features 286 luxurious guest rooms, several specialty restaurants, a nightclub and full-service banquet and event facilities outfitted with ballrooms, meeting spaces, and associated support spaces. MGA&D is in a design partnership with Marpac, the world’s leader in high-quality sound conditioners. Marpac’s products have been improving people’s sleep since 1962. With today’s understanding of the importance of quality sleep, Marpac is poised to cement its position as the undisputed leader in “sleep hygiene.” MGA&D’s product design team has been working with Marpac’s product development and marketing teams on a full refresh of its collection of sound machines. We’ve designed a family of products that offer a full spectrum of features and benefits. We’ve connected the collection through an original design language that is beautiful, communicates the purpose of each item, is a pleasure to experience and is unique to Marpac. To be completed in the Fall of 2017, this classroom and student dining building at Don Bosco Prep will house 16 classrooms in addition to a cafeteria, kitchen, and support spaces. 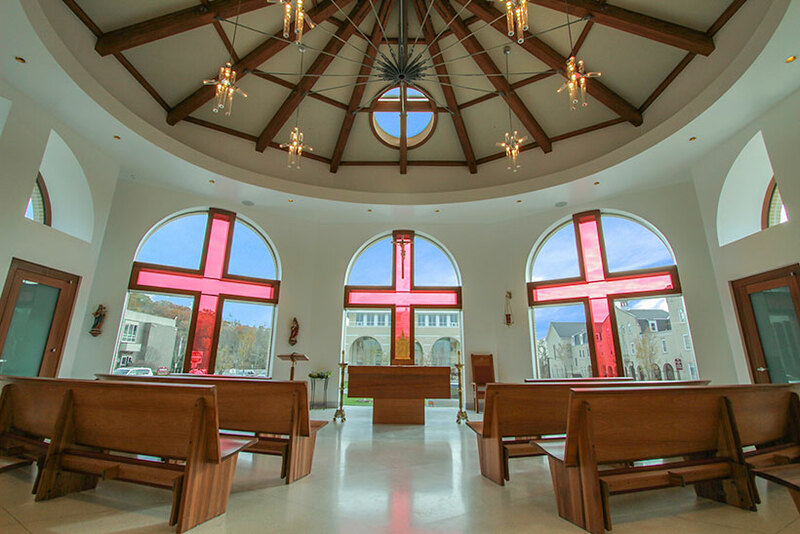 This project is part of a larger master plan which includes improvement plans to the campus, site circulation, parking, storm water management, wetlands preservation, landscaping, and a spectacular Chapel of the Sacred Heart. 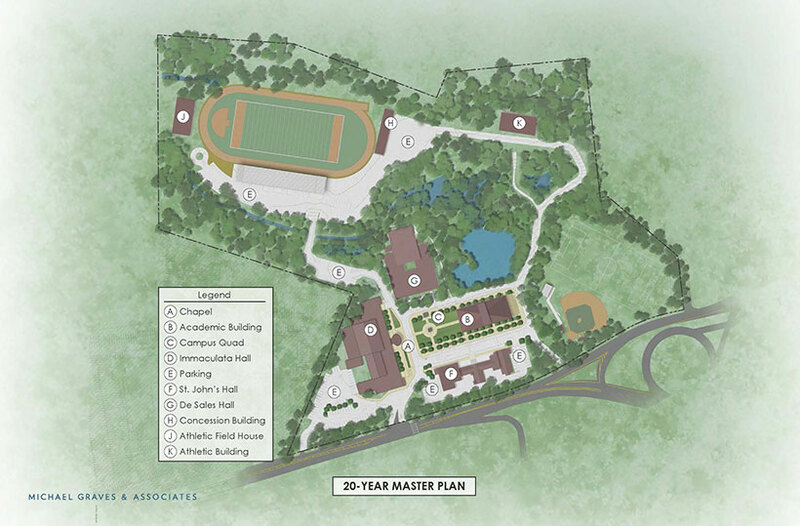 The construction and improvement plans will transform Don Bosco’s 35-acre campus, offering students a more collegiate-campus experience. MGA&D designed a collection of cookware called Teorema for the highly regarded Italian cookware company TVS. As we began our design process, we thought about the distinctive elements of a piece of cookware (the body, the handle, the lid) and how we could create a design where the whole is greater than the sum of the parts. To start, we thought about usability and how so much comes down to the handle. The unique profile of the Teorema handle forms a cradle that gives the hand a natural resting spot for better grip and balance. The same cradle can hold cooking utensils, keeping sticky food from transferring to the surface of the stovetop and counter. For the cookware bodies, we designed simple, yet eye-catching curves to enrich the cooking experience. The quality connection of the body to the handle is robust and secure. The pronounced single rivet connection draws its positive proportion from the negative punched-out hanging hole featured on the long handles of the sauté, fry, and casserole pans, as well as the wok. The sculpted, tempered glass lids make it easy to see the cooking process while the generous stainless steel lid handles are easy to grip, even with oven mitts, and feature the same cradle that holds cooking utensils. PS42Q includes an approximately 90,000 GSF addition (5 floors plus cellar) to an existing 80,000 GSF existing school originally built in 1929. New capacity added is 692 total students with a combined building total to be roughly 1500 students when complete. The addition includes a new main entrance, student dining, dance studio, science, art, and music classrooms as well as general Pre-K through 5 and special education classrooms. A large rooftop playground is also included to maximize outdoor recreation spaces for students. MGA&D just started two new product design projects in the kitchen organization category for our long time client Polder Products, a leading brand supplying consumers with well-designed, high-quality home goods. This residential ‘forever home’ located in Monmouth Beach, NJ was designed for its residents to comfortably age-in-place. The house is located in a flood plain and is replacing the previous building damaged by Superstorm Sandy in 2012. This 6,000 SF home not only includes beachy colors and playful elements but is also smartly designed to be both sustainable and resilient. The palette is whimsical, light and airy, making the home contextual to its location along the coast. The original 1960s Benacerraf addition designed by Michael Graves has been celebrated by architects and scholars around the world for decades as a seminal moment in architecture. This residential addition is being restored to its original condition with some minor modernization updates to the interior spaces. The project is set to be completed this Spring. 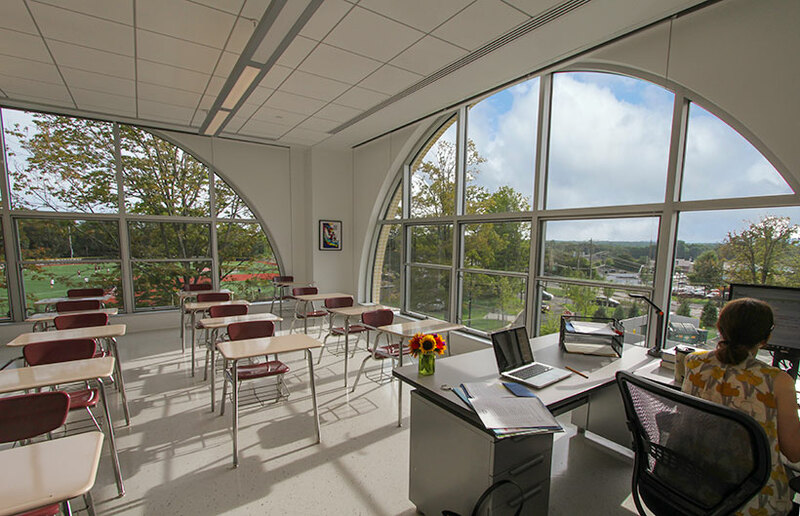 PRISM.pub, a new online journal, resource and cooperative effort to further sustainable building practices recently published an article on Public School 343 – The Peck Slip School, authored by Principal Thomas Rowe. The project, the conversion of an existing U.S. Postal Service Station located within Manhattan’s South Street Seaport Historic District embodies PRISM’s mission: to disseminate information on the sustainable built environment and to further the cause of sustainable building. PRISM believes that sharing sustainable success stories will help achieve a sustainable future while ensuring the preservation of the past. 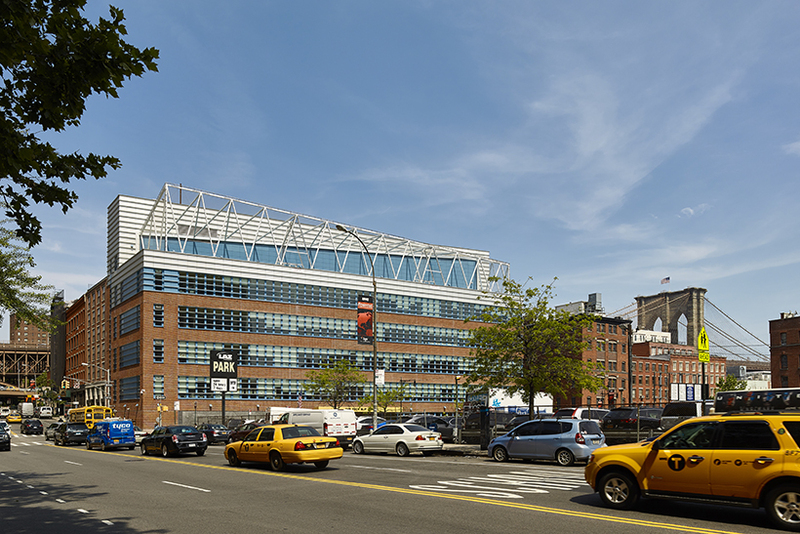 Commissioned by the New York City School Construction Authority (NYCSCA), the goal of the project was to re-use an existing 1950’s post office facility to help fill the need for school capacity in a rapidly emerging residential community. Located on Peck Slip between Pearl Street and Water Street, the new facility accommodates a capacity of 712 students in grades Pre-K through 5. The project encompasses approximately 97,000 SF in seven floors above grade. 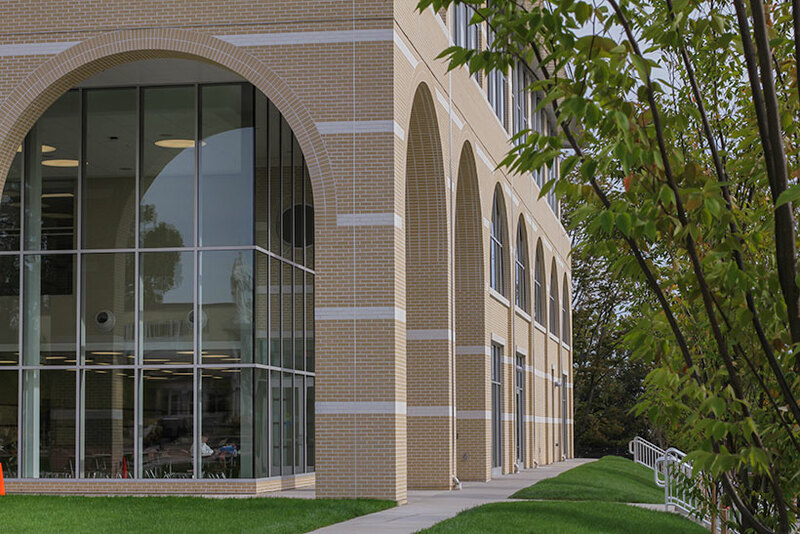 The project scope includes a 69,300 SF renovation and adaptive re-use of the four existing floors of the building and a 27,700 SF vertical addition of three new floors. MGA&D is delighted to announce the September 9, 2015 opening of its third New York City public school for the NYCSCA. 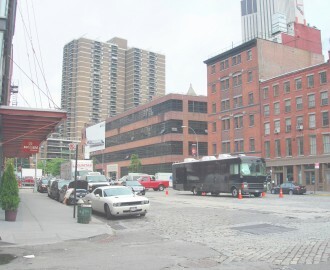 PS343, officially named the “Peck Slip School”, is located in lower Manhattan, adjacent to the Brooklyn Bridge and within the South Street Seaport Historic District. 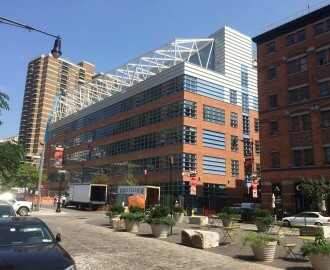 The Peck Slip School was commissioned to help satisfy a growing need for additional neighborhood schools in lower Manhattan that is being prompted by a significant increase in housing in the surrounding area. The project site was an active dock during the Revolutionary War. Peck’s Slip served as a temporary hideout for George Washington and his troops in April 1776 when they fled from the British following the Battle of Long Island. The project scope included the adaptive reuse of a four-story 1950 US Postal Service Station building pre-existing on the site as well as a three story vertical addition supported by the existing structure below. An extensive feasibility study was initially performed by the Graves-MMA Joint Venture Design Team to determine the maximum amount of classroom space that could be supported by the pre-existing concrete post office structure. Along with this extensive structural investigation and in situ foundation load testing, other unique critical path schedule items such as Historic District approvals, archaeological requirements, and coordination with a major ongoing NYC infrastructure project were researched at length to determine if the proposed project could be delivered in a very short, finite time period. The facades on the existing structure are intended to recall those of the Postal Station modified to accommodate the school’s layout and to maximize natural light to the classrooms. The large strip windows are fitted with horizontal solar shades to control the south light and glare. This element is continued on the upper facades visually tying the aluminum clad vertical addition to the lower levels. The white painted steel truss and stainless steel mesh enclosing the play roof provides a light [physically as well as visually]cap to the building reminiscent of the bridges over the East River as well as the sailing ships at the South Street Seaport. Featuring five floors of classroom and support space, the new school is designed to serve 760 students in grades Pre-K through 5. A fifth floor Gymatorium will support not only the physical education and assembly needs of the students, but also act as a new location available for community events after hours. A sixth floor rooftop playground provides much needed outdoor play space and also offers Peck Slip School students panoramic views of the many historically and culturally significant monuments that surround them. MGA&D congratulates the students, families, teachers, and staff of the Peck Slip School on their new home.